Your windows are one of the most vulnerable points of your home when it comes to losing heat during the winter. Estimates regarding the exact impact windows have on heating costs vary, but every analysis suggests the percentage is significant. Some estimates put the percentage of heat loss due to windows at just 15 percent, while others claim up to 25 percent of heat escapes through windows and doors. Energy.gov estimates home heat loss from windows is between 25 and 35 percent. Exactly how these numbers are calculated varies, as do the definitions of wall verse window heat loss. Oftentimes, when these experts talk about heat escaping through walls, they’re factoring in the heat that’s being lost due to inadequate sealing and insulation between walls and windows. Fortunately, eliminating heat loss due to improper sealing is one of the easier problems for homeowners to fix with sealing kits and caulking products. Many of these solutions can be purchased from a local hardware store and applied by the homeowner themselves. The insulation fix that works best for your home is highly dependent on the primary sources of heat loss, and DIY options may not be enough in some cases. Many draft problems are harder to address when the initial window installation or replacement was done improperly. In severe cases, a window replacement company may need to take a more intensive approach to fix inefficiencies. There’s actually a lot that goes into replacing a window, including installing and applying sill pans, house wrap and flashing tape correctly. If a company doesn’t properly apply sill flashing or doesn’t adequately insulate or caulk around the window frame, you may end up losing out on all the benefits of that new energy-efficient window you purchased. The quality of window can make a massive difference as well. One study of heating costs in Boston, MA found that a typical home with single pane clear glass windows would cost roughly $875 to heat for a season. That cost dropped to $600 with double pane clear glass windows with wood or vinyl frames and $575 with double pane clear glass with low SHGC (Solar Heat Gain Coefficient) and low-e coating. In terms of frame material, insulated vinyl and fiberglass frames are generally considered the best option, followed by wood and then metal. Metal frames, like aluminum, conduct heat more rapidly than other window frames. Wood and composite wood frames possess decent insulation properties but also require more maintenance than the other options. Both fiberglass and vinyl window frames are ow-maintenance options and can be equipped with hollow cavities that are filled with insulation for superior R-values, making them the most popular energy-efficient double pane and triple pane window frame options. Insulated windows can come with a number of panes of glass. Most modern energy efficient windows have a minimum of two panes that are separated by a hermetically sealed space filled with argon or krypton gas. This space slows the transfer of heat because the gas trapped between the panes is a less efficient conductor than the glass itself. Argon or krypton gas is used because neither contain moisture, which prevents condensation from forming between the panes. In addition to providing extra insulation, these clear, non-toxic gases also help maintain the space between the panes and allow for more flexibility when thermal expansion occurs due to naturally occurring changes in pressure. 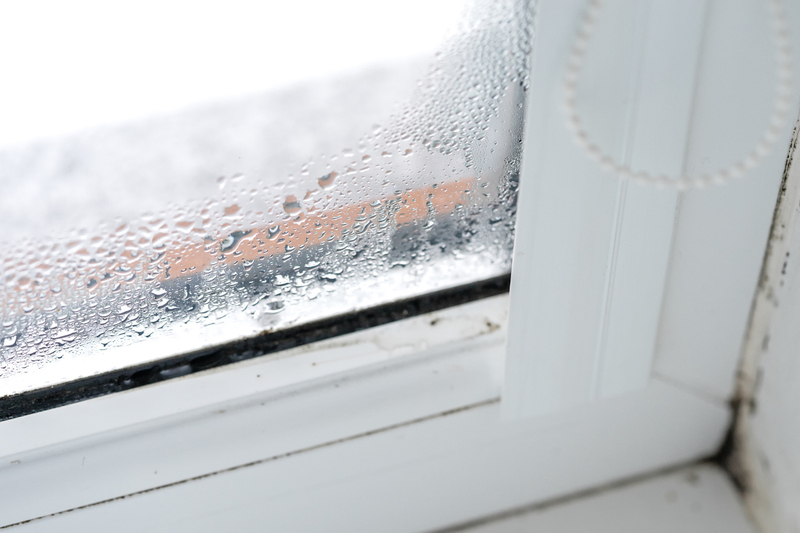 If your windows have condensation between the panes there is a good chance the seal for this space between the panes has failed and moisture has been able to penetrate between the layers. All these window panes can also be coated with low-emissivity (low-e) coatings, which further reduces heat transfer. Although low-e coated windows cost approximately 10 to 15 percent more per window, they also reduce heat loss by 30 to 50 percent. Although there’s a lot that can be done to improve your home’s thermal envelope in addition to replacing doors and windows, these fixtures do play an integral part in the solution. If you are interested in purchasing quality replacement windows and want to make sure they are properly installed so you can get the maximum benefit from your investment, consider contacting Procraft Windows at (206) 361-5121. We’d be happy to provide a free consultation and design estimate for your window or door replacement project.